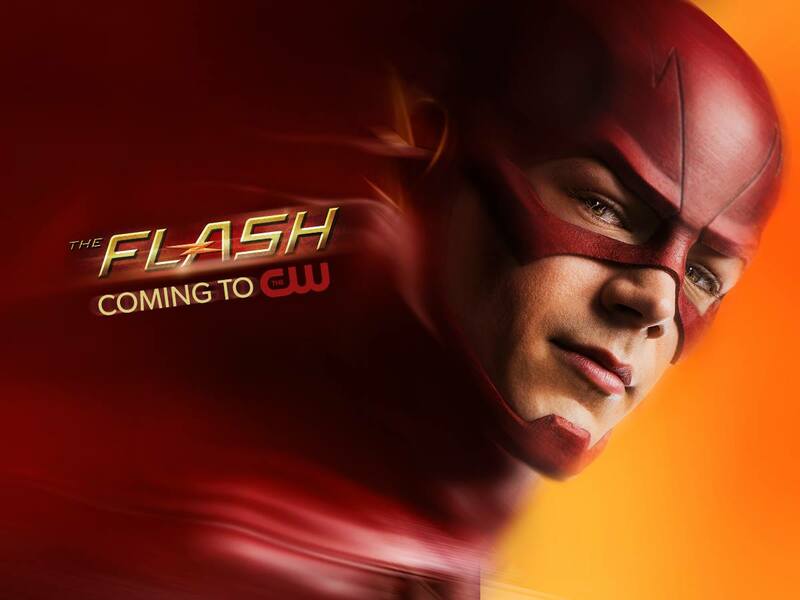 When last year’s TV season began, The Flash was one of the most highly anticipated shows amongst the geek crowd. When we looked at it here during the beginning of the season it was certainly living up to that buzz, but did it maintain that level? Well yes, actually it did; no need to beat around the bush on that. But let’s look at how it managed that. The one thing the Flash had going for it, from the start, was that it embraced its comic roots without shame. It also went against the grain for just about every other DC live action property by not going the grime and gritty route, instead choosing to have an optimistic hero who acted as a symbol of hope. CW already had the required grim hero in the Arrow. One observation of the two shows is that in the CW DC universe, Superman’s role is covered by the Flash and Batman’s by the Arrow. One episode highlights is when Barry tries to emulate the Arrow’s grimmer way of handling things, only to have it blow up in his face. One of the factors that influenced the story more than any other was the time travel aspect. Time travel was always a part of the Flash in the comics and the show did not shy away from this in the least. Like any show involving time travel there were questions about what the consequences of changing the past would be, and the creation of a plot hole or two. However, the overall execution was well handled. So how did the characters evolve over the course of the first season? 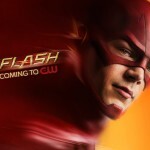 Of course, as the main character Barry Allen (Grant Gustin) had the most growth. Starting out as enthusiastic but unsure of himself, Barry grew into a responsible hero who (when it came down to it) would make the choice of serving the greater good. Gustin nailed the character from the start. If the show rested on Gustin’s shoulders, then his best support came from Tom Cavanagh. As Harrison Wells, Cavanagh portrayed a wonderfully complex character. As Wells, he was Barry’s mentor and a surrogate father figure, but in his true identity of Eobard Thawne (aka The Reverse Flash) he was Barry’s worst enemy who wanted nothing more than to destroy him. Cavanagh was able to portray Wells as both affectionate to Barry and the rest of the S.T.A.R. Labs crew, while at the same time being a threat to them. While Wells’ goal was to push Barry’s powers to greater heights, Barry’s foster father Joe West (Jessie L Martin) guided him on the path of the kind of hero he wanted to be. The father/son bond between Joe and Barry was easily the series emotional core. Joe cared so much for Barry that he was willing to have their relationship erased from history, if it meant that Barry could get his mother back. Of Barry’s colleges It was interesting to watch Cisco Ramon’s (Carlos Valdes) arc over the season. Cisco had fanboy glee over Barry’s powers and being part of a team fighting supervillains. It was also interesting watching his bonds with Barry’s father figures. He worshipped Wells and took his betrayal hard. Conversely. over the season. Cisco had a growing working relationship with Joe, being his secret partner in investigating the truth behind the death of Barry’s mother. The revelation that he can subconsciously remember timelines that time travel erased directly opened a door to his (eventually taken on) identity of Vibe from the comics. On the flip side you have Catlin Snow (Danielle Panabaker) whom, thanks to a glimpse of the future, we got to see as her villainous alter ego of Killer Frost. While she continued her role as caregiver to Barry when injured, the show steered away from having her fall for him, instead bring in her supposedly dead fiancé Ronnie (Robbie Amell), who was still alive, as his comic book alter ego Firestorm. She was also the most resistant of the S.T.A.R. Labs team to the idea that Wells was really the Reverse Flash. Iris West (Candice Patton) suffered most of the season from being more of a plot motivation, for Barry, than an actual character. For the first two thirds of the season, she was defined by her relationships with Barry, her father Joe, and her boyfriend Eddie. It was only towards the end of the season, when she learned that Barry is the Flash, that she started coming out of that and showing signs of being an actual character. Hopefully in the next season they can build on that and give her some more defining characteristics. Speaking of Eddie Thawne (Rick Cosnett), for starting out as a bit of a cliché (romantic rival for Barry) he turned out to have an interesting arc. Half way through the season Barry and Joe let him in on Barry’s secret so that he could help with the investigation of Wells. Eddie was not happy that they insisted on keeping it from Iris. But he turned out to be a stanch ally and a tragic hero when he learned that he was the Reverse Flash’s ancestor, and that his romance with Iris was doomed to fail. His arc ended in a heroic manner and I, for one, am disappointed we will not be seeing more of him in season 2. There were some notable guest and reoccurring characters that warrant mentioning. Besides Ronnie, you had Professor Stein (Victor Garber) the other half of Firestorm. Garber is a great actor and brought both fun and gravitas to Stein. I look forward to seeing more of him both on the Flash, and in the mid-season spin off Legends of Tomorrow. John Wesley Shipp, as Barry’s father Henry, was also a great part of the show. Although initially just a bit of stunt casting (Shipp played Barry in the 90’s Flash series), he did an excellent portrayal of a man accepting the bad hand he was dealt and just being happy his son was doing well. He made the pride Henry felt upon realizing that Barry was the Flash radiate. And of course there was the other great nod to the old series of having Mark Hamill as the Trickster (the character he played on the 90s series, as well as doing the voice on the Justice League cartoon). Hamill is a fantastic actor and I hope we get more of him in the future. In the end, I give the first season of the Flash an A+. It is the best comic book series ever and we can only hope that others learn from its example. This entry was posted in Article, Review and tagged CW, DC Entertainment, Grant Gustin, The Flash, Tom Cavanagh, TV Show by Caliban. Bookmark the permalink.